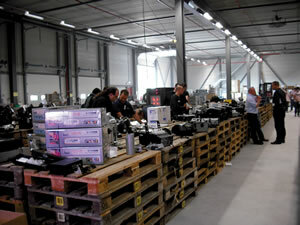 I am always ready to be impressed by smoothly organised companies in the entertainment technology business and went along to Highlite International BV’s recent dealer days at their premises in Kerkrade in The Netherlands with an open mind and having little real knowledge about the operation. I’ve seen their big and busy stands at ProLight+Sound in Frankfurt and at PLASA, yes, but even this hadn’t prepared me for what was to come. Let’s begin with the numbers: over 5000 of their own products, designed by Highlite and manufactured in the Far East, supplemented by a few leading brands such as Griven, Studio Due, Antari and Doughty stored in massive, custom-designed warehouses; sales to 68 countries worldwide at the last count; over 100 employees; a turnover of over 42m euros. Now for starters, that’s more than enough to concentrate the mind. Then, taking me on a trip to the next dimension, owner Huub De la Haye walked me past massive racking systems to show me the shell of their new storage facility, which in around six months’ time will house 22,000 product pallets and be fully automated. Ironically, this requires minimal lighting, because humans will hardly need to visit the building and there will be little need to touch anything. At an overall cost of 8m euros it is currently an open space a mere 110 metres long, 55 metres wide and 26 metres high. The massive operation which is Highlite BV started life in 1994 in a small workshop in Simpelveld, a village situated at one of the highest points in the Netherlands, 240m above sea level. And, according to Huub, this is how the company got its name – the highest point for lighting in the country! Now whether he dreamed that up on the spot for my benefit or not, doesn’t really matter. For the geographically minded, the company’s base at Kerkrade is located near Heerlen in that little bit of The Netherlands in the south-east of the country that pushes its way down between Belgium and Germany, mid-way between the cities of Maastricht and Aachen. And which were Highlite’s first products? Loudspeakers and Parcans, of course. And how do they develop products? “By listening to our customers,” says Huub De La Haije. And by now it should be apparent that, 15 years later, the company is one of Europe’s leading suppliers of show equipment, with well over 3500 professional customers worldwide. storage and bigger equipment, cables, etc. To discover the complete range you’ll need the latest edition of the Highlite productcatalog 2009 – a very solid 592-page glossy tome that weighs in at just under one-and-a-half kilos. 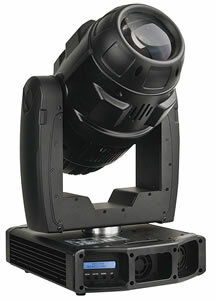 Highlite’s latest equipment introductions include a new line-up of LED moving heads. The Giant LED moving head and its more advanced brother the Giant XL incorporates a 20W LED engine that produces a light output comparable to a traditional 250W halogen lamp. 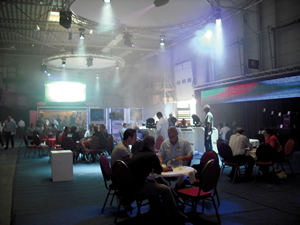 It drew a great deal of interest at PLASA in September. Also new are the Indigo 150-LED (billed in the catalogue as “small and damned powerful”) and the flagship 250-LED moving head which is packed with 27 LEDs. Also new are the Expression Compact moving washlight with a total of 54 LEDs (14 each red, green and blue plus 12 white) and the Tracker 300, a special matrix LED unit which has nine independently controllable high power and narrow white beams. It can be used as a special effect light or as a real tracking device by combining the beams, which offers a real “aircraft” effect. Also, the Tracker 300 is equipped with selectable pan/tilt movement, Neutrik Powercon power connector, Quicklock brackets, 0-100% electric dimmer, a variable electronic strobe for each LED and more. 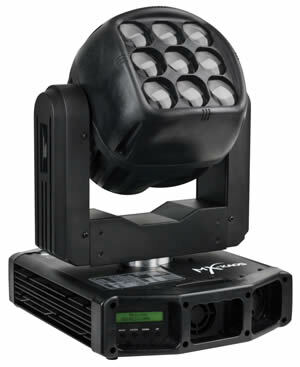 With these features the Tracker 300 is truly a powerful tool for the creative lighting designer. 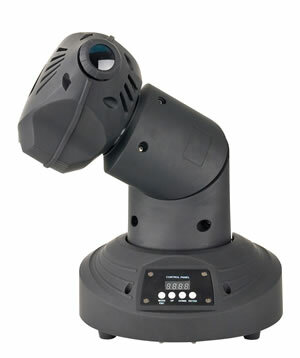 The new Acrobat LED literally adds a new dimension to moving heads. It is not only unique due to its three-dimensional movements, but also due to its impressive 50W LED engine, which generates a massive light output of 15,100 Lux. The Acrobat LED is very well equipped with double pan movement, pan/tilt correction, three-facet prism, a colour wheel with eight colours and a rainbow-effect as well as seven rotating gobos, gobo-shake, etc. Two schematics of the new planned unmanned high bay warehouse which should be in operation within six months. The just-launched Vision Stick sets a new standard for LED display technology. It has a wide variety of applications, from large free-form video displays to architectural visual design. Due to its high brightness and tight pixel pitch (13.15mm) in a slim, lightweight yet rugged package, the Vision Stick is an all-round performer. Also, it has a wide symmetrical viewing angle. Last but not least it has an IP-65 rating which makes it ideal for outdoor use. In the Phantom Series, the latest unit is the 800W 575 Basic with electronic ballast. On the control front, Highlite has a wide range of systems, and their latest in the range, the new LED Commander, also attracted considerable interest on stand at PLASA. It's bargain day! Once a year Highlite organise a bargain market where ex-demonstration and second-hand products draw in the crowds. The event has become so popular that some customers spend the night in the parking area so they can be first in the queue. 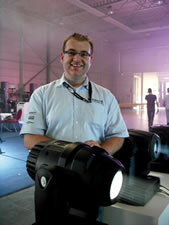 Purchasing manager Peter Buckx with a Showtec Indigo 250-LED unit � the flagship fixture in the moving head range. 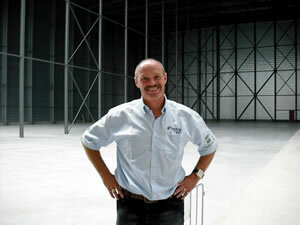 Huub De la Haye in the new high bay warehouse. It will house an automated storage and retrieval system with a capacity of 22,000 pallets, six stacker cranes, a pick area and automatic conveyors. The system will have a pick capacity of 180 pallets per hour. The warehouse is 110m long, 55m wide and 25m high. Tracker 300 is a new matrix LED fixture with nine individual LED beams. It can be used as a tracking light by combining the beams. And company developments don’t stop here. After nine years of successful partnership in the UK and Ireland, Highlite International BV has just completed its merger with its UK partner Overt Light to Sound / Highlite UK, based at Calne in Wiltshire. For the last few years the two companies have been operating side by side in the UK and it made sense to consolidate it all under one organisation. With Highlite’s new warehouse extension in The Netherlands nearing completion, it will take away the need to hold stock in outsourced warehouses, including those in other countries. Acrobat�s 50W LED engine generates a light output of over 15,000 Lux. Back in The Netherlands, Huub De la Haye emphasises that the company’s success is “family driven”, but there are natural leaders within the organisation, of course. Pascal van Sloun is business development manager and responsible for the UK. 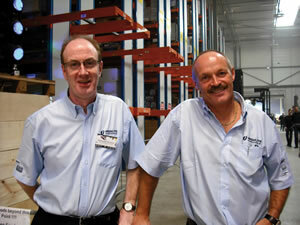 Patrick Herveille is vice-president and takes care of the overall technical and logistics side of the business. 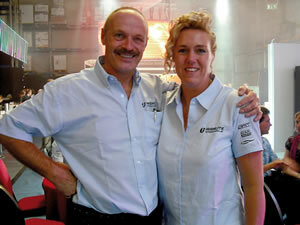 Purchasing manager is Peter Buckx who is responsible, with Huub, for the development of new products. The new LED Commander control system. 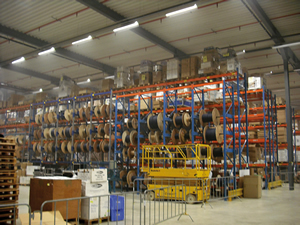 The Mini-load system at Highlite�s headquarters. 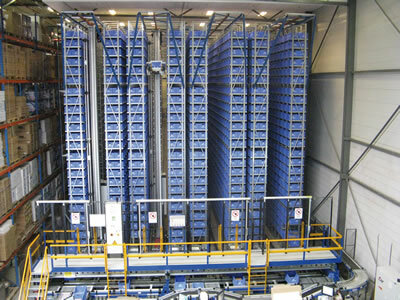 This fully-automated picking system comprises four cranes and 40,000 bins in a goods-to-man principle, with a maximum pick capacity of 500 picks/hour.